The Elkton, Maryland community of dance is a beautiful thing. With so many different personalities and backgrounds, the people who love dance find meaning in another's arms as they rhythmically move across the dance floor of life. 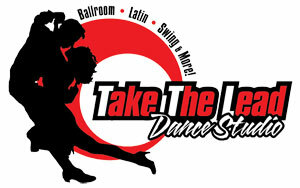 Latin (esp salsa) dance classes for my husband and me. Our schedules are crazy, and the only consistent day/time we have off together are Friday afternoon and evenings. This makes finding a class hard! We would be interested in private lessons. We live in elkton, MD but can travel to Wilmington. I have classic dance experience, he has none. We are 42 and fit. I love to swing dance (although I havent been able to recently. Would love to start again with my husband. I live in Elkton Maryland but am close to Newark Delaware. Wife and I are 75. I have danced for 6+ years. My wife of 3 years doesn't dance, very little in past. Looking for beginer classes for a couple and want them soon. We just think it would be fun to learn.